Out and About: KAWS @ PAFA, Where Old Meets New — Sukio Design Co. Earlier this month, I headed up the coast for one of my regular trips to Philadelphia. 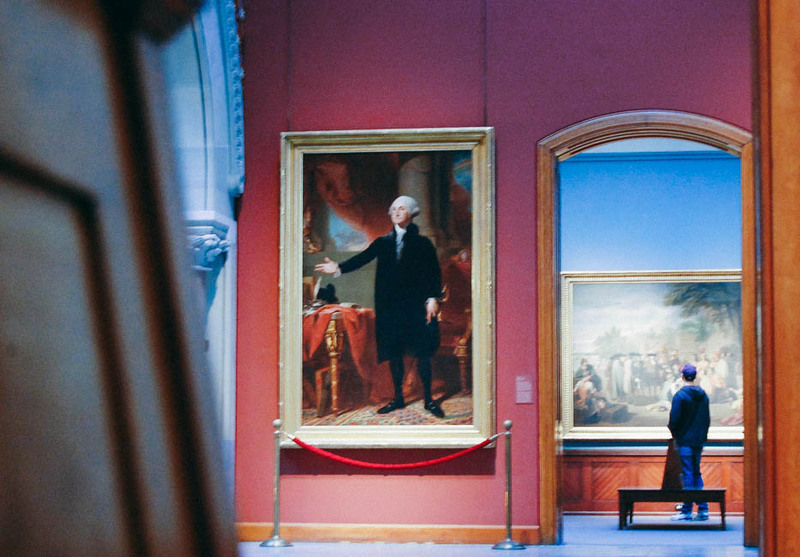 Visits are usually all about the family, but this time I managed to squeeze in an afternoon of art and inspiration at the Pennsylvania Academy of Fine Arts (PAFA). My visit specifically coincided with KAWS @ PAFA, an exhibit of 60 paintings and sculptures by the world-renowned pop artist KAWS. 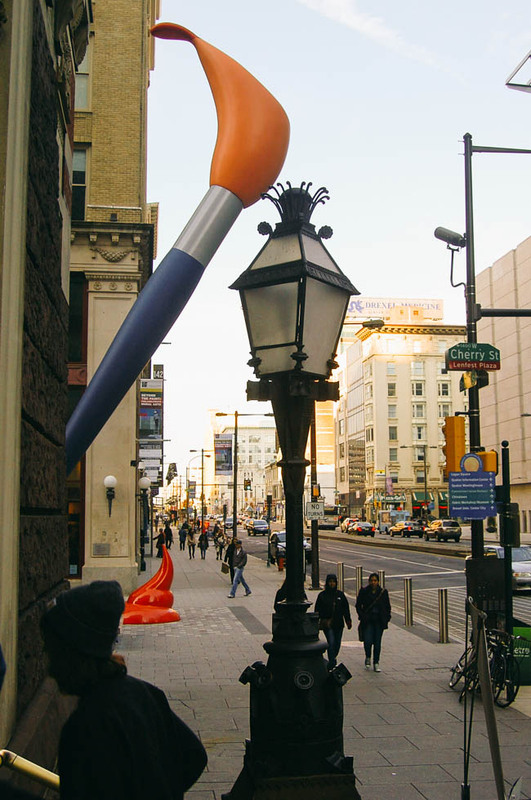 The exhibit is housed in PAFA's Historic Landmark Building, just a few steps from city hall (above) and adjacent to Paint Torch by Claes Oldenburg, the artist behind Philadelphia's famous Clothespin. The 51-foot sculpture features a giant brush and dollop of paint to celebrate "a place where painting with a brush is really practiced," says Oldenburg. My favorite part of the exhibit is its sharp contrast with PAFA's traditional works and architecture. 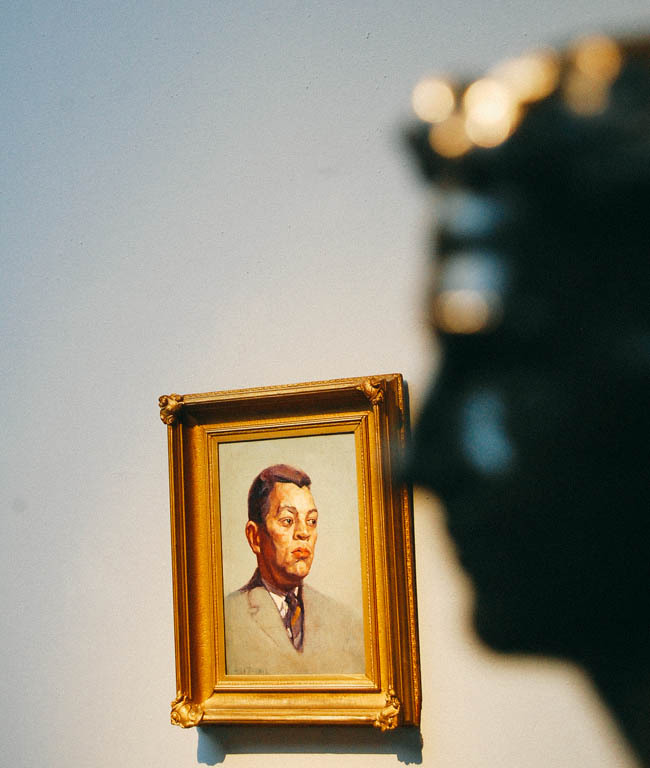 Equally diverse was the museum's patrons–the young, the old, yuppies, hipsters, everyone and anyone roamed throughout its galleries. KAWS @ PAFA will be on display through January 5th. I also captured the experience with VSCOcam here and here.